How do you improve upon greatness? If you’re Honda, then you start out completely from scratch. That may sound counter intuitive, but that’s exactly what the factory did with the all-new 2018 Honda Accord. They took what is one of the best-selling midsized cars on the market and completely redesigned it from the ground up. It’s a bold move and it’s reflected in the all-new 2018 Accord’s style. This Accord looks nothing like any previous generation Accord in history. It’s got an aggressive stance and sits low to the ground evoking a sporty image. Honda also decided to discontinue the coupe Accord option for the 2018 model year, but don’t worry. The all-new 2018 Accord has what Honda characterizes as “coupe goodness” in its design. We’ll cover that a little bit more later. The all-new 2018 Accord is also wider than the previous model and Honda didn’t let those extra inches go to waste. They used them to create what is among the roomiest interiors of any midsized car on the market. It’s also got all the latest and greatest technological features available when you buy or lease one. Ready to get your all-new 2018 Accord? Just contact us at Fernandez Honda and the moment the 2018 Honda Accord hits the ground, we’ll notify you. We’re betting the all-new 2018 Accord will go fast when it arrives, so don’t miss your chance to be among the first in the San Antonio, Boerne and Helotes areas to drive one. Where do we start? The all-new 2018 Accord features an incredibly spacious cabin that is loaded up with equipment and technology. There’s an available eight-inch touchscreen display that offers Apple CarPlay™ and Android Auto™ functions. The all-new 2018 Honda Accord also comes available with a wireless charging station. Want to hook up to Wi-Fi while you are driving on the road? You can do that in the all-new 2018 Accord with its available Wi-Fi hotspot. There’s also USB ports so everyone in the family can “plug and play” during road trips. The biggest tech news for the all-new 2018 Honda Accord, however, comes in the safety technology arena. The factory has include the Honda Sensing® safety suite as standard equipment on every new 2018 Accord. That includes features like lane keep assist, road departure mitigation, traffic sign recognition and adaptive cruise control. More features. More equipment. More technology. The all-new 2018 Accord interior brings more to the table in every way. As noted earlier, Honda made the decision to discontinue the coupe version of the Accord for the 2018 model year. That’s no cause for alarm, as you’ll notice coupe like design elements in the all-new Accord. What else is new on the outside of the all-new 2018 Accord? It’s significantly trimmed down. That’s right. The 2018 Accord weighs over 100 pounds less than the outgoing model. That has resulted in marked fuel efficiency increases across the board. Honda has made two different engine configurations available on the all-new 2018 Accord. The standard power plant is a 1.5L engine that provides 192 horsepower and 192 lb-ft torque. The next step up is a turbocharged 2.0L 4 cylinder option that amps horsepower up to 252. This turbocharged engine replaced the previous V6 option on Accord. Once you experience the power and efficiency of this new turbocharged configuration, you’ll quickly understand why Honda made the decision to drop the V6. 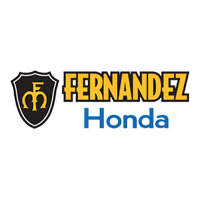 Fernandez Honda stocks a huge selection of new Honda models, certified pre-owned Hondas and used cars that fit every need and every budget. We can get you into the new or pre-owned vehicle you have always dreamed of at a low price or monthly payment. Be sure to check out all our new Honda specials when you browse our inventory on our website. Our special offers are updated frequently throughout the month to maximize your savings when you buy from our Honda dealership located at 8015 Interstate 35 Access Rd, San Antonio, TX 78224.